We offer a wide variety of services specifically designed to meet each individual client need. You’re also safe in the knowledge that at Lyme Bay Alarms we don’t employ sales reps. So from our in house consultants to our fully qualified engineers you’re guaranteed the highest quality design, installation and maintenance of the leading Intruder/Burglar Alarms, CCTV Systems, Fire Alarms and Access Control Systems each and every time. Needed an alarm system installed quickly after a break in. Richard installed the same day, can not fault the service at all. Thank you. Richard from Lyme Bay Alarms fitted my shop alarm sytem two years ago when Humbug gifts started trading in Sidmouth. The system has been very reliable, is easy to use and has given us peace of mind. In the event of help being needed Richard has always responded quickly and helped us solve the problem over the phone. 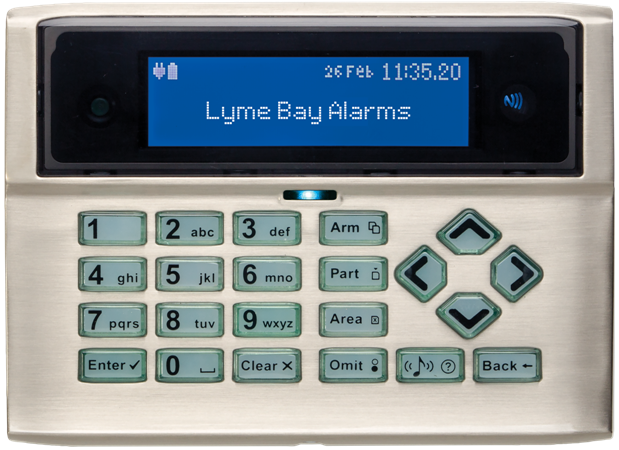 I am happy to recommend Lyme Bay Alarms to any commercial customers. Lyme Bay Alarms offer a comprehensive and valuable service. Richard was very organised and professional, the continuing support has been fantastic. We have been using Lyme Bay Alarms for a number of years and they never fail to impress with their service and standards. We had a new CCTV system fitted back in 2009 which still runds like new and they are always on call should you need them. We would reccommend them in a heartbeat.